In short, a silent disco has great music and dancing, but no loudspeakers. 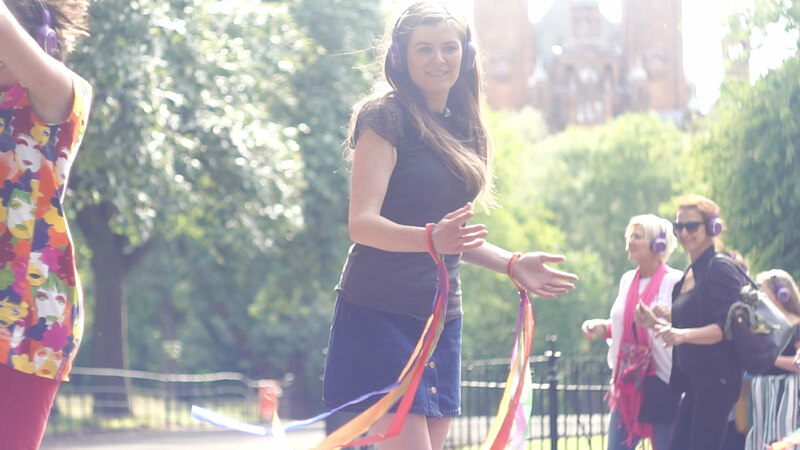 Dancers are each provided with a wireless headset and a choice of up to 3 playlists is transmitted directly to the headsets – this allows dancers pick a preferred playlist. A unique kind of social event, silent discos are fantastic fun, and a real spectacle too. Ya Dancer is Glasgow’s very own silent disco service. With our portable and fully tested disco kit, we bring the dance floor to you. What we do is dancing, silent style. Ya Dancer silent discos guarantee fantastic, mood-lifting fun, and the chance for everyone to do a bit of fancy footwork to their own kind of music. So for sheer spectacle, fab fun, exercise and an event with a difference you can’t go wrong with a Ya Dancer silent disco.